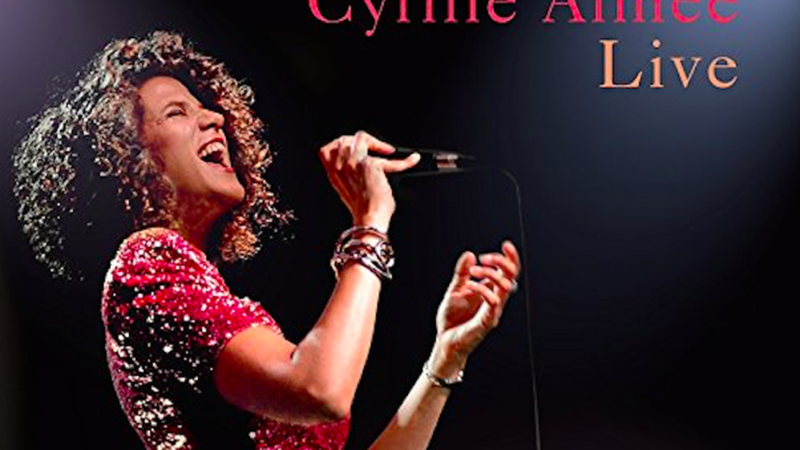 This week’s Rhythm Planet program starts with “Si Tu Vois Ma Mère" from French jazz singer Cyrille Aimée’s new live album. I love this old Sidney Bechet song as well as the great acoustic guitar solo by Adrien Moignard. Eddie Daniels is one of the most talented multi-instrumentalists in jazz and classical music. His new album Heart of Brazil celebrates the music of Brazilian composer Egberto Gismonti. Daniels tackles Gismonti’s challenging music on tenor and clarinet with a great rhythm section and the Harlem Quartet. Stay tuned for more about this project next week. We continue with jazz pianist Denny Zeitlin, a Bay Area veteran who also teaches clinical psychiatry at UC San Francisco. He has been a favorite of mine since the 1960’s when I first discovered his early Columbia albums. Zeitlin recorded his latest album at Dizzy’s Coca Cola club in New York City with his longtime collaborators—Buster Williams on bass and Matt Wilson on drums. We hear another jazz piano trio next, courtesy of Brad Mehldau, drummer Jeff Ballard, and bassist Larry Grenadier. I wondered about the title of his new album, Seymour Reads the Constitution!, and turns out Mehldau had a dream in which the late actor Philip Seymour Hoffman read the U.S. Constitution to him. And I thought I had crazy dreams?! The new album includes a mix of originals, pop songs, jazz tunes, and the songbook standard, “Almost Like Being in Love,” the track we feature this week. We then jump way back to the 1950’s on the next song by the Dar es Salaam Jazz Band from Tanzania. This rumba song comes from the amazing Hugh Tracey collection, Listen All Around, beautifully presented by the folks at Dust to Digital. The jazz-funk guitar great Grant Green next performs the Sonny Rollins standard “Oleo.” The track comes from a new two-CD set of previously unreleased live recordings captured in 1969 at the ORTF (Office de Radiodiffusion-Télévision Française) studios in Paris and at the Antibes Jazz Festival in 1970. These are thought to have been Green’s only performances in France. With remastered high-resolution audio transferred directly from the original tapes, the sound quality is so good you’d think these recordings were just made yesterday. Continuing with the jazz guitar, the young Slovak Hungarian musician Andreas Varady has been championed by no less a jazz hero than Quincy Jones. Listen and find out why Q crows about this guitarist. Saxophonist Joshua Redman rounds out this show with a cut from his new album, Still Dreaming. His new quartet (Ron Miles, trumpet; Scott Colley, bass; Brian Blade, drums) reminds me a lot of the classic Ornette Coleman Quartet from the famous Atlantic recordings of the late 1950’s-1960’s. The new album and its title in fact take inspiration from Old and New Dreams, the band of Redman’s father, Dewey Redman. The all-star members of that band were all Ornette Coleman alums—Don Cherry, Charlie Haden, and Ed Blackwell. Still Dreaming features mostly new work by the band plus one composition each by Haden and Coleman.